Release Date:07/13/2018;Notes:Vinyl LP pressing. 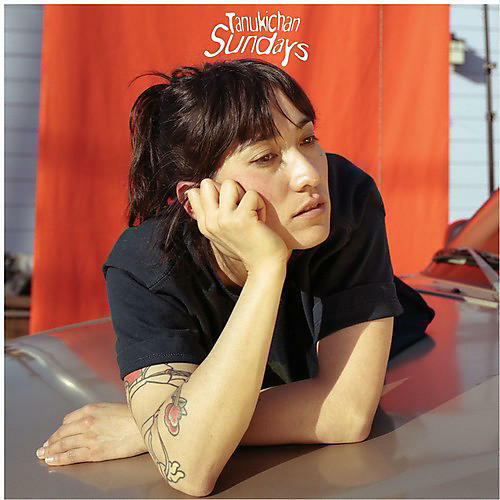 Sundays is the debut full length from Oakland-based Tanukichan, aka multi-instrumentalist Hannah van Loon. At surface level, the LP sounds exactly how the title suggests: hazy, dreamy, reflective, just like a lazy Sunday afternoon. Upon second and third listens, the dreamy music unveils a deeper world: an ever present sense of longing, an endless state of summer and a period of instability that plagues us all at one point or another in our lives. What started with a few unfocused demos, with van Loon playing all the instruments herself in her house, became a studio experience and viable collection of music after she was introduced to Company Records founder Chaz Bear (Toro y Moi, Les Sins). After collaborating on her 2016 EP Radiolove, van Loon and Bear set out to make a much more sonically cohesive release, with both the producer and artist playing all the instruments on the record. The result is a slice of dream pop that could only come from the combination of the laid back atmosphere of California and the nostalgic and often difficult memories that are generally associated with coming of age.